MBRP's aluminized AL INSTALLER Series 2.5" DPF (Diesel Particulate Filter) Back DUAL exhaust system for your 2014-2018 Dodge Ram 1500 EcoDiesel 3.0L truck comes with two T304 polished stainless exhaust tips via a split rear outlet design. 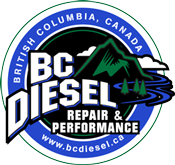 MBRP's 2.5" DPF (Diesel Particulate Filter) Back XP Series DUAL Exhaust System for your 2014-2018 Dodge Ram 1500 3.0L EcoDiesel pickup. Made from 16 gauge T409 stainless steel (which lasts longer than aluminized exhaust), this kit also comes with T304 polished stainless exhaust tips via a split rear outlet. MBRP's 2.5" DPF (Diesel Particulate Filter) Back XP Series DUAL Exhaust System for your 2014-2018 Dodge Ram 1500 3.0L EcoDiesel pickup. Made from 16 gauge T409 stainless steel (which lasts longer than aluminized exhaust), this kit also comes with T304 polished stainless exhaust tips via a split side outlet. MBRP's aluminized AL INSTALLER Series 2.5" DPF (Diesel Particulate Filter) Back DUAL exhaust system for your 2014-2018 Dodge Ram 1500 EcoDiesel 3.0L truck comes with two T304 polished stainless exhaust tips via a split side outlet design. 2018-2019 Ford Powerstroke F150 3.0L - MBRP's T304 Stainless Steel PRO Series 3.5" DPF (Diesel Particulate Filter) Back exhaust system with single side exit. 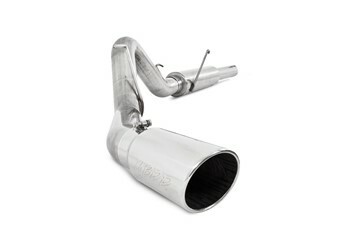 Includes a T304 polished stainless exhaust tip. MBRP's aluminized AL INSTALLER Series 3.5" DPF (Diesel Particulate Filter) Back exhaust system for your 2014-2018 Dodge Ram 1500 EcoDiesel 3.0L truck comes with T304 polished stainless exhaust tips via a dual outlet exit. MBRP's aluminized AL INSTALLER Series 3.5" DPF (Diesel Particulate Filter) Back exhaust system for your 2014-2018 Dodge Ram 1500 EcoDiesel 3.0L truck comes with a T304 polished stainless exhaust tip via a single side exit. 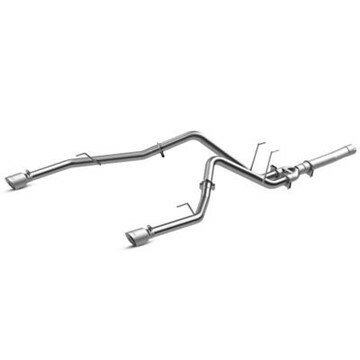 2018-2019 Ford Powerstroke F150 3.0L - MBRP's aluminized AL INSTALLER Series 3.5" DPF (Diesel Particulate Filter) Back exhaust system with single side exit. Includes a T304 polished stainless exhaust tip. 2018-2019 Ford Powerstroke F150 3.0L - MBRP's aluminized black coated BLK Series 3.5" DPF (Diesel Particulate Filter) Back exhaust system with single side exit. Includes a black coated exhaust tip. MBRP's 3.5" DPF (Diesel Particulate Filter) Back XP Series Exhaust System for your 2014-2018 Dodge Ram 1500 3.0L EcoDiesel pickup. Made from 16 gauge T409 stainless steel (which lasts longer than aluminized exhaust), this kit also comes with a T304 polished stainless exhaust tip via single side exit. This aluminized steel 4" Cat & DPF Delete Race Pipe Kit from MBRP fits your 2013-2018 Dodge Ram 6.7L Cummins 2500/3500 pickup. It has no bungs on the pipes and does not come with a muffler. Race tuning is required to install this kit. This aluminized steel 4" Cat & DPF Delete Race Pipe Kit from MBRP fits your 2013-2018 Dodge Ram 6.7L Cummins 2500/3500 pickup. It has no bungs on the pipes and comes complete with a muffler. Race tuning is required to install this kit. This T409 stainless steel 4" Cat & DPF Delete Race Pipe Kit from MBRP fits your 2013-2018 Dodge Ram 6.7L Cummins 2500/3500 pickup. It has no bungs on the pipes and comes complete with a muffler. Race tuning is required to install this kit. MBRP's aluminized 4" Cat-Back Performance Series Exhaust System for your 2001-2005 GMC Chevy 6.6L Duramax with the LB7 or LLY engine. Comes with a T304 polished stainless muffler. Tip not included. 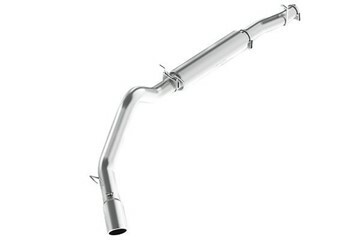 MBRP's 4" aluminized AL INSTALLER Series Cat Back Exhaust System for your 2004.5-2007 Dodge Cummins 5.9L diesel truck comes with a T304 polished stainless muffler and an MBRP exhaust tip. 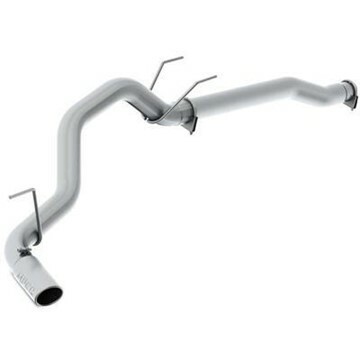 MBRP's 4" aluminized AL INSTALLER Series Cat Back Exhaust System for your 2004-2007 Ford Powerstroke E-350 diesel van comes with a T304 polished stainless muffler and an MBRP exhaust tip. 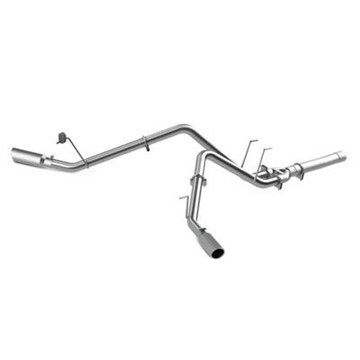 MBRP's aluminized AL INSTALLER Series 4" cat-back exhaust system, with muffler, with tip, with a single side exit for your 2001-2005 GMC/Chevy 6.6L Duramax with the LB7 or LLY engine. 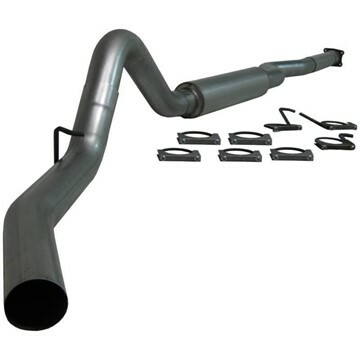 MBRP's aluminized AL INSTALLER Series 4" cat-back exhaust system, with muffler, with tip, with a single side exit for your 2001-2005 GMC/Chevy 6.6L Duramax with the LBZ engine and extended cab/crew cab. 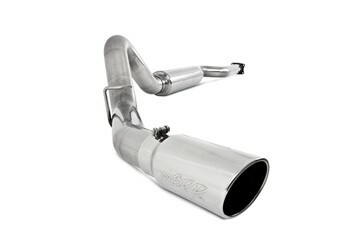 MBRP's 4" Cat Back XP Series Exhaust System for your 2004.5-2007 Dodge Ram Cummins 5.9L diesel pickup. Made from 16 gauge T409 stainless steel (which lasts longer than aluminized exhaust), this kit comes with a T304 polished stainless muffler and exhaust tip.